Regarding your ThermOil Battery De-Sulfater. 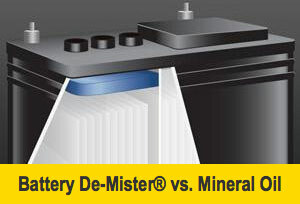 We have recently used the Battery De-Sulfater that you have sent me and the results were rather very impressive. We have learnt that it is very important to understand the chemistry of batteries to ensure the best results. Below is a detail chart on the experiments we have done as well as some results on starting batteries. We were using 20ml (20cc) per cell (or .67 oz) for starting batteries up and until about 55ah – 60ah. Meaning 120ml (120cc) (or 4 oz) per battery. Then 30ml (30cc) per cell (or 1 oz) for starting batteries from 60ah – 100ah Meaning 180ml (180cc) (or 6 oz) per battery. For truck (not sure what you guys calls it, maybe “Lorries” or “Haulers” ?) batteries We were using 40ml (40cc) (or 1.35 oz) per cell for starting batteries between 120ah – 180ah. Meaning 240ml (240cc) (or 8.1 oz) per battery. We do keep data sheets (job cards) for each battery as part of our quality control process. This is often used for our own internal research and for quality control. . . What is common and strange is that once we’ve added your product to the batteries after topping it up with water etc. We noticed that the CCA would increase by about 5% ~ 7%. Not a lot I guess, but bare in mind this is before charging the batteries. This happens with in about 5min! Also about 12hours later, the black sulphated sulphuric acid (battery water) from the sulphated batteries would become clear! 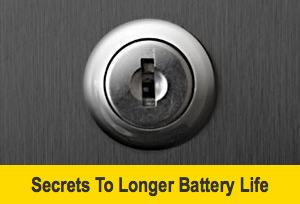 We have noticed that the CCA of the batteries would naturally increase between 30% to about 50%. The voltage float would remain constantly at 12,8 volts. This happens about 5 days after the batteries have been charged. Further on vehicles we fit batteries for testing and experimental purposes, when we took readings on Monday afternoon on two vehicles that has Battery De-Sulfater in it, we’ve noticed that the CCA has been fully restored to what it was according to factory specs when the battery originally came of the factory line. The voltage float stands currently at 13volts after the vehicle’s engine has been switched off for at least 12hours. I am really very impressed and think that you are blessed with an amazing product. 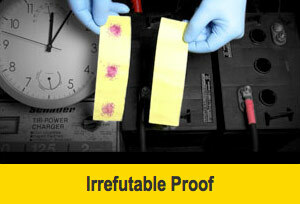 Well done on ThermOil’s Battery De-Sulfater. My God blessed you with lots of success. My wish is that companies (like yours and mine) would make a great impact to combat global warming as we reduce the carbon foot print of battery manufacturing. Recondition or extending the life of a battery (for at least one more life cycle) will make a great impact to do our bit to help reduce global warming. +2782-580-5455 | +2712-370-3435 | ECO-RECON (Skype) | hamzah@ecorecon.co.za | www.ecorecon.co.za | @EC0_RECON_Batt 261 Willem Erasmus str, Erasmia, Centurion, Gauteng, South-Africa.